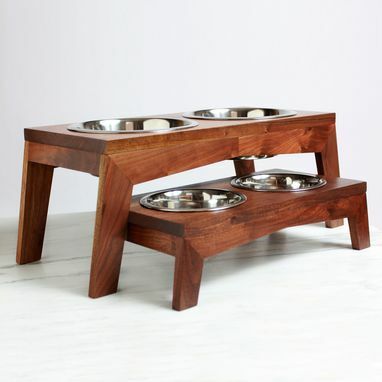 Man's best friend deserves din-din on a silver platter. 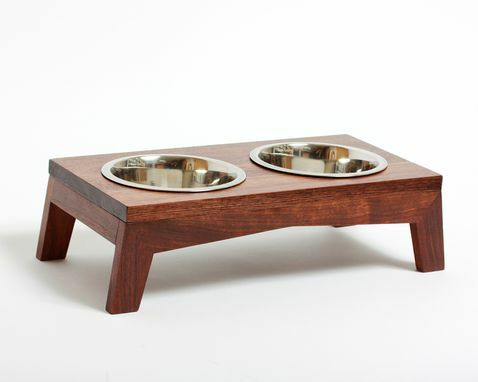 Our handmade mid century-inspired dog dish is outfitted with floating tenon joints, lending it a sturdiness that can withstand obsessed, destructo toddlers as well as your giant (or giant-at-heart) canines. Water spillage and drool are no match for the protective wood finish. 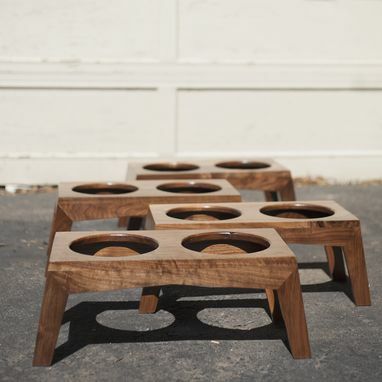 It is shown in black walnut, but is also available in cherry, maple and oak. Individual wood characteristics may vary from the example photos. 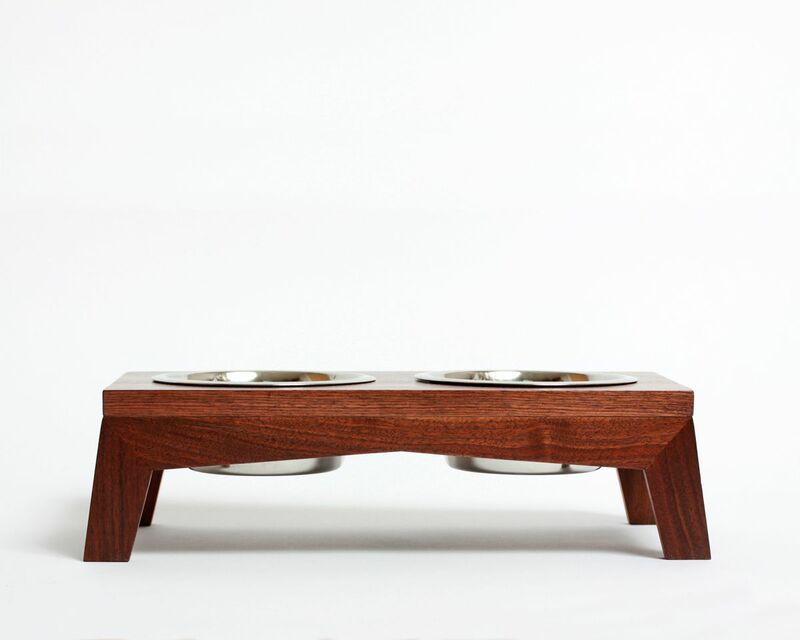 Bowls are USA made stainless steel, which are easy to remove, easy to clean, and a safe material to eat from.